Acknowledged for its amazing natural beauty, the Arenal region of Costa Rica attracts nature lovers and eco-tourists from around the world. Not far from the Arenal Volcano, Costa Rica’s most active volcano, the tiny town of Nuevo Arenal is a must visit when exploring this region. A picturesque and quaint town with close proximity to the beautiful Lake Arenal, it is renowned for its breathtaking lake, mountain and volcano views. 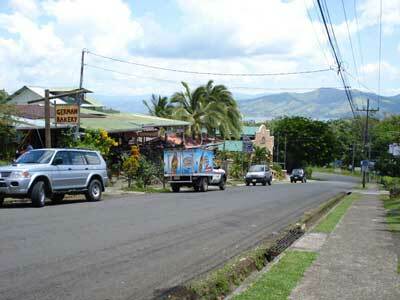 The Villa Decary is situated 2 km to the east of Nuevo Arenal. A scenic 30 minute drive from the town of Tilarán on the northeast side of Lake Arenal, Nuevo Arenal can also be easily accessed from the town of La Fortuna. The best way to get here is to either fly to the San Jose International Airport or the Liberia International Airport and then drive to Nuevo Arenal. Located at an altitude of 620 meters above sea level, the weather here is great as the climate remains cool and fresh all year long. Created in 1973 when a dam was built in the region, Nuevo Arenal (or New Arenal) came into existence when the waters of the lake rose and the former town of Arenal disappeared under water. Built on higher, safer ground, Nuevo Arenal is a small town offering banking services, a health clinic, grocery stores, mini-markets, a gas station, souvenir shops and several excellent bars and restaurants for both inexpensive and fine dining.